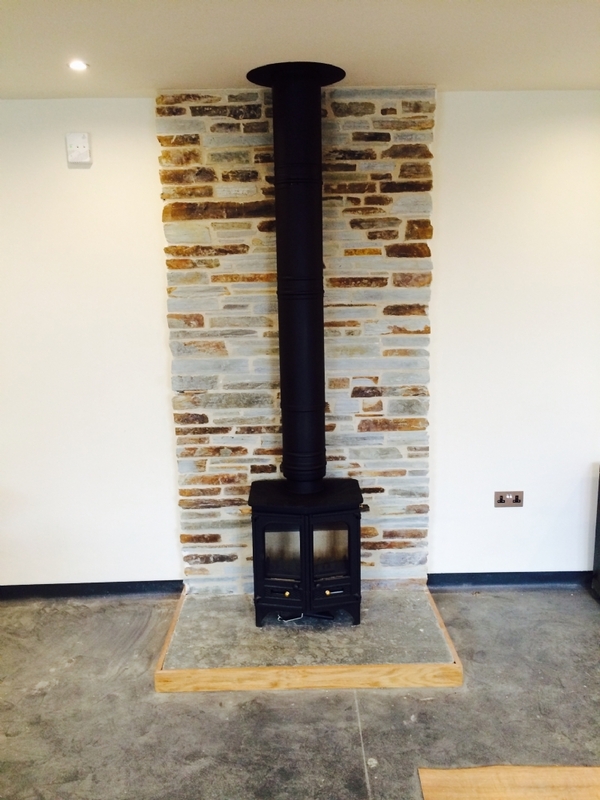 Charnwood Country 6 wood burning stove installation from Kernow Fires. Requirements: Free standing stove, no fireplace currently in place. 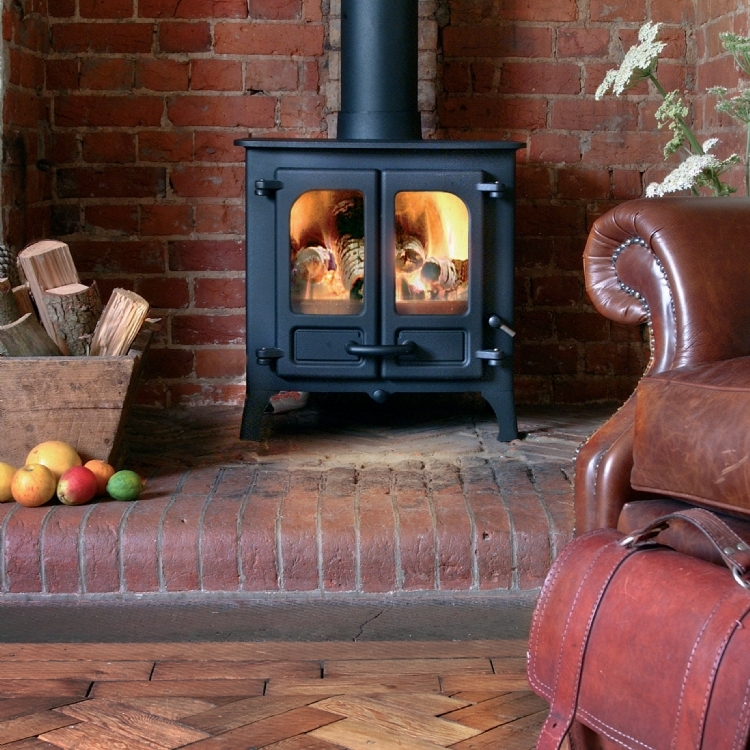 The Charnwood Country 6 is a good solid multi fuel stove with traditional double doors. 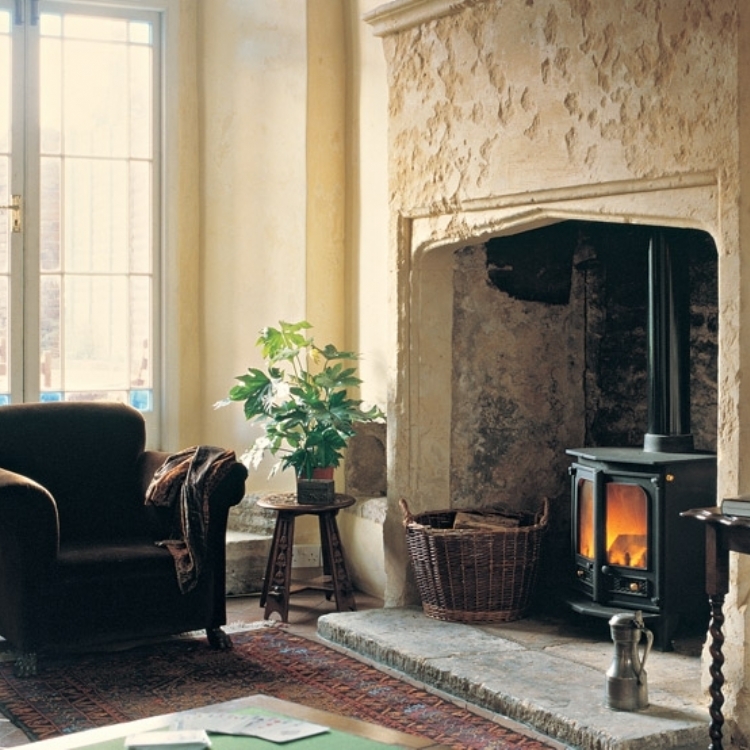 Fitted with twin wall flue this straight up and through the building this is a common way of fitting a fire without building a traditional fireplace. 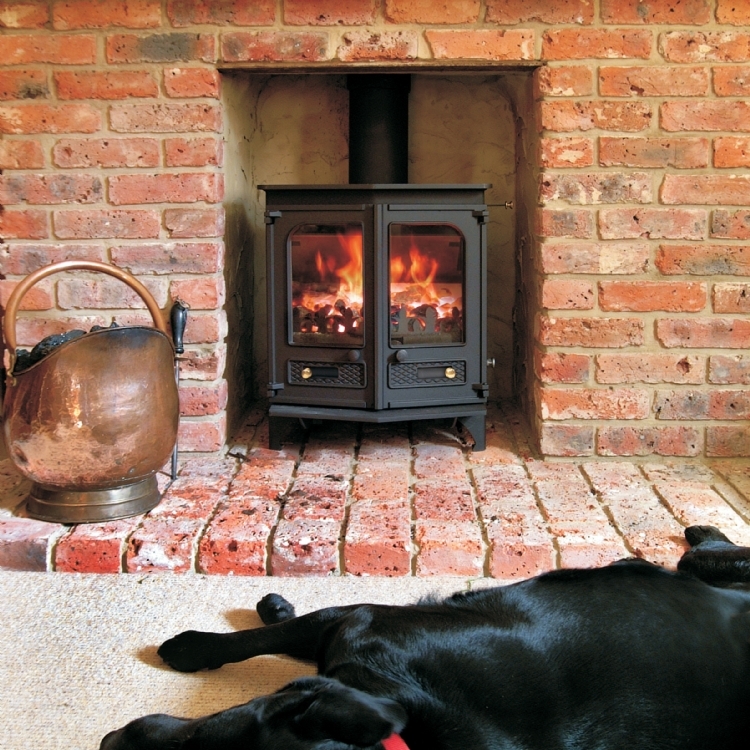 We recommend painting the flue and we always paint our stainless flue once fitted to match the stove.